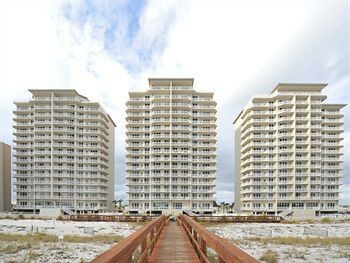 Property Location When you stay at Summerwind Resort by Wyndham Vacation Rentals in Navarre (Navarre Beach), you&apos;ll be within the vicinity of Hidden Creek Golf Club. This condominium resort is within the region of Gulf Islands National Seashore and Gulf Breeze Zoo.Rooms Make yourself at home in one of the 190 individually decorated guestrooms, featuring kitchens with full-sized refrigerators/freezers and stovetops. Rooms have private furnished balconies. Cable programming and DVD players are provided for your entertainment, while complimentary high-speed (wired) Internet access keeps you connected. Conveniences include separate sitting areas and microwaves, as well as phones with free local calls.Rec, Spa, Premium Amenities Dip into one of the 3 outdoor swimming pools or 3 spa tubs and enjoy other recreational amenities, which include a 24-hour fitness center. This condominium resort also features a picnic area and barbecue grills.Business, Other Amenities The front desk is staffed during limited hours. Free self parking is available onsite.